Probe station accessories are available with any of MicroXact’s probe stations, including a wide range of micropositioners designed to make precision positioning and alignment of probe tips easy and reliable. 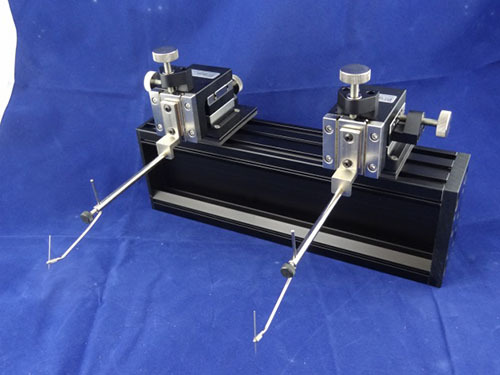 For features 5 microns or larger, we offer very affordable 3-axis micropositioners with 0.025” resolution per turn. These positioners have 0.300” of available travel in X, Y, & Z. 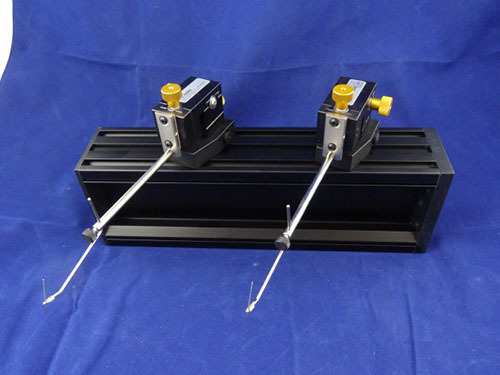 Our probe manipulators can be configured with magnetic or vacuum-lock bases. 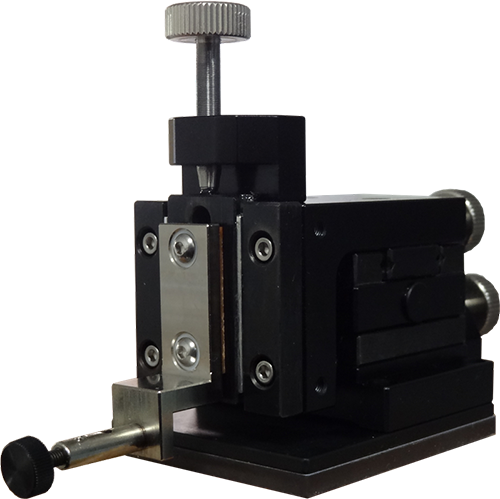 For features smaller than 5 microns we offer a premium micropositioner with 0.500” of available travel in X, Y, & Z. These micropositioners are available in three resolutions ranging from 0.025” per turn to 0.010” per turn. They also have the option of being configured with either vacuum or magnetic-lock bases.